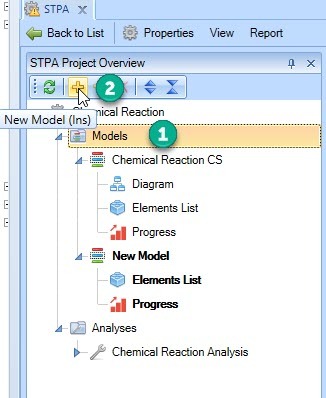 CS Models are displayed under the ‘Models’ node in the STPA Project Overview. CS Models act as container for one or multiple CS Diagrams. After creating your new STPA Project, the CS model is created automatically for you with the same name as the project. Next, you will need to create the diagram and name it what you want. You may want to create a new Model for another diagram in the same project. Select ‘Models’ in the STPA Project Overview. Click the to create a new CS Model. Alternatively, you can create a new Model by right-clicking to open context menu item ‘New Model’ (2nd image). 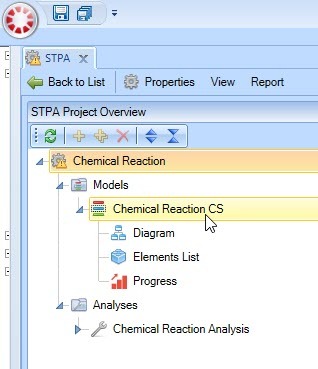 Double click the newly created CS Model and a new tab opens in the work space to the right of the STPA Project tree. Rename the CS model. Also possible to right-click the New Model to open context menu then select Rename “New Model”. 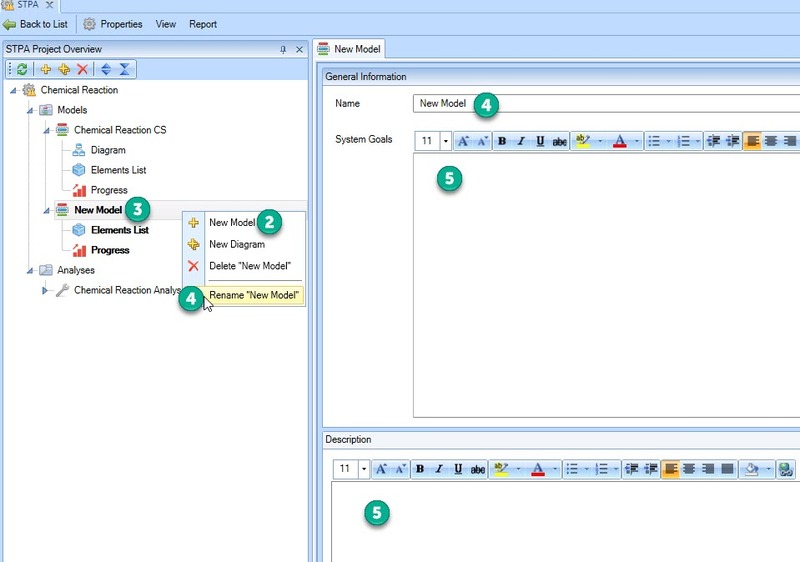 You can enter the System Goals and a Description for the model, which is recommended. Save your progress now to allow the name, goals, and description to save (Ctrl+S keys or save icon at the top-left). Although the newly created CS Model does not contain a diagram, the sub-nodes Element List and Progress are created by default.